Meeting mission goals requires an educated, informed, and efficient workforce. To get the most out of personnel performance, Government agencies must go beyond one-time training events to get the right information to the right people, at the right time. 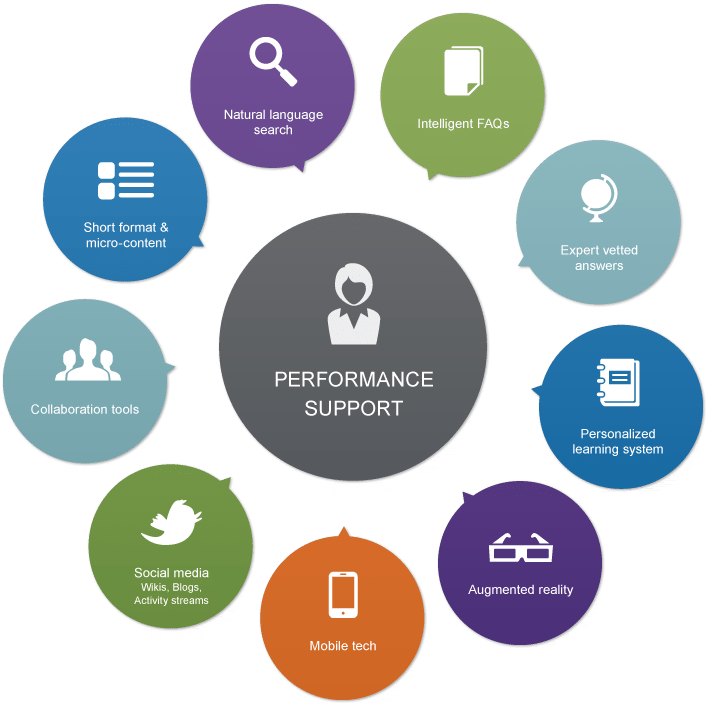 Performance support tools help agency employees successfully accomplish tasks and goals by putting critical knowledge at their fingertips, when they need it most. Carney’s vision of performance support involves making multiple sources of content available as close to the point of need as possible. This can range from social media tools, such as wikis and blogs, to formal and informal resources, including user-generated micro content and short format learning exercises, as well as traditional performance-focused job aids such as step action charts and decision tables. Technology also plays an increased role in the changing face of performance support, specifically in the areas of augmented reality and intelligent conversational response systems. Carney carefully considers agency needs, personnel, and resources to customize tools that supplement training, provide just-in-time instruction, and support enhanced employee performance. Our solutions span all media and delivery methods from paper-based and online job aids, to mobile applications, and interactive continuous development activities.